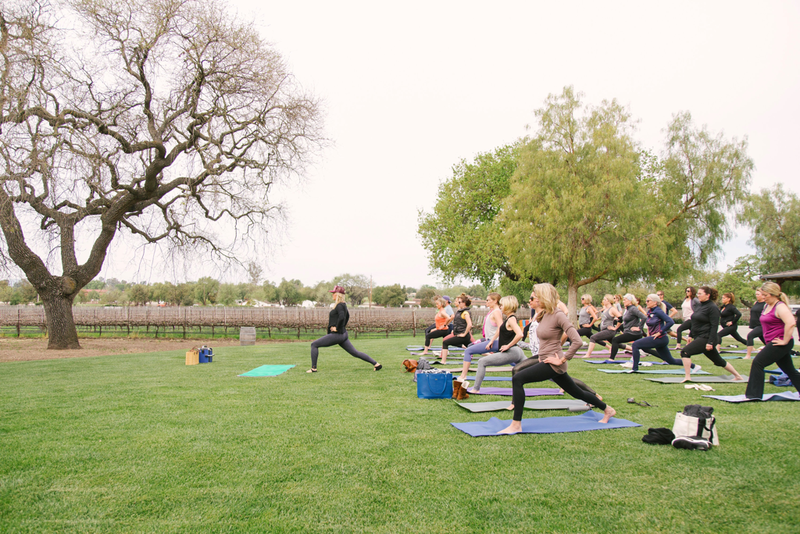 Vineyard Yoga SYV connects yoga enthusiasts with the natural world by experiencing the beauty of our local vineyards. The Santa Ynez Valley provides a pastoral backdrop for yoga with rolling hills, stunning live oaks, wide open sky, and miles of grapevines. Each vineyard offers a breathtaking location that allows for maximum rest, relaxation and rejuvenation. 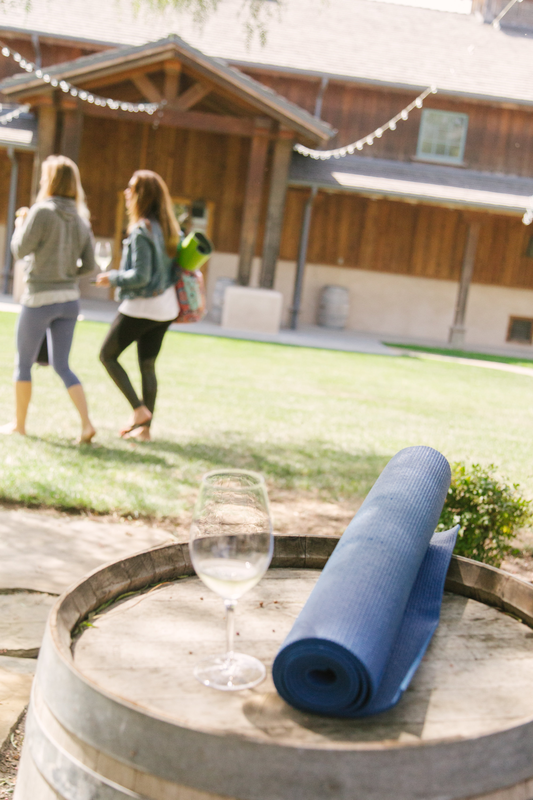 Enjoy a relaxing yoga class among the vineyards followed by tasting a flight of wines. Practicing yoga prior to tasting wine opens up the senses and will allow you to experience the wine more deeply. "I really had no idea how beautiful and healing Vineyard Yoga would be until I actually went the first time. After that, I was hooked. There is something about starting your weekend off outdoors under the warm, morning sun, with beautiful views and several chances to stare at the sky and trees. It is a very sensory-oriented experience that is only matched by Cori's warmth. It feels like such a treat every time." into the earth as rows of grapevines come into focus.